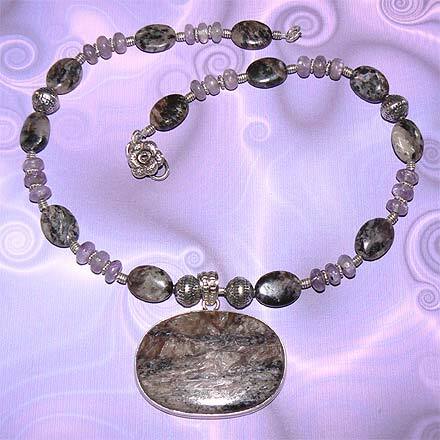 Sterling Silver Charoite Necklace. See Closeup. 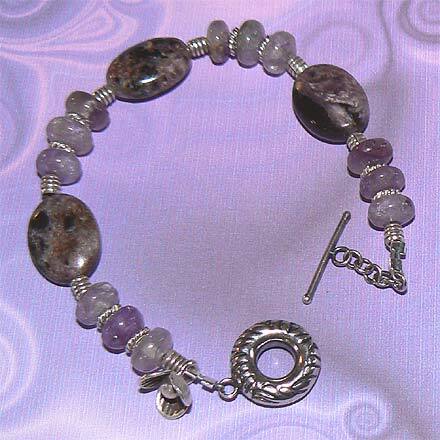 This Charoite has more brown in it than most, for a very unusual neutral, warm mauve color. 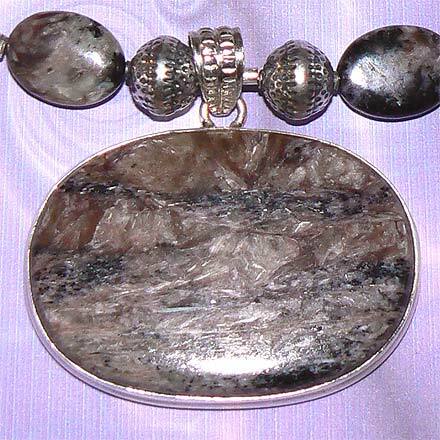 The pendant is very special to me personally, as it reminds me of a stone I found on the Cape Cod seashore when I was only 6 or 7. 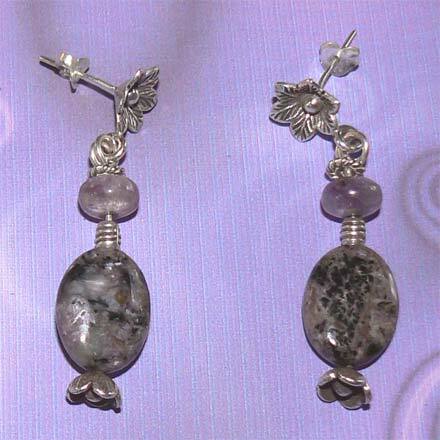 The stone, which is some kind of conglomerate of quartz and sandstone, has almost the same sort of dark markings as does this Charoite pendant, and is roughly the same shape. I've kept my Cape Cod stone forever and still have it with me on the table where I make my jewelry.